Interior Minister Gideon Sa'ar said that his office had adopted policies specifically to encourage illegal aliens to leave the country. 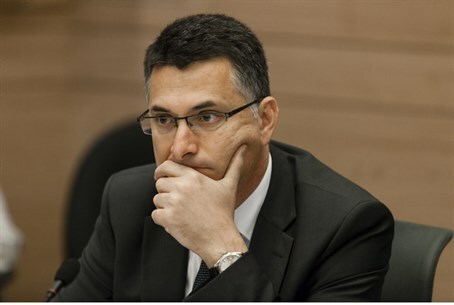 In an interview with Channel Two, Interior Minister Gideon Sa'ar said Monday that his office had adopted policies specifically to make it uncomfortable enough in Israel for illegal aliens to encourage them to prefer to leave the country. On Sunday, thousands of the African workers, many of them in Israel illegally, gathered in Tel Aviv for a demonstration, staying away from their jobs to demand that they be allowed to remain in Israel. In recent weeks, Israel has begun rounding up illegals whose work visas have expired and detaining them at a new facility in southern Israel built to hold them as the government worked on ways to deport them. So far, some 300 illegals have been detained. Protests also took place in Eilat, with illegals who did not attend the protests taking a day off from work in solidarity with the protesters. A new security fence on Israel's southern border has successfully halted the mass illegal invasion of several years ago, but estimates say that some 60,000 illegal Africans who managed to get into the country in previous years remain. The Africans demand that Israel grant them the status of political refugees, who according to UN regulations, cannot be deported to their countries of origin. Israel has said that it considers nearly all the illegals to be economic migrants who are searching for work, and as such can be deported. Sa'ar said that Israel was being tested. “In Africa there are tens of millions looking for a place to escape to,” he said. “We are the only Westernized country in the region with a land border they can cross, the come to Israel. We must keep up our efforts,” he added.